Agent Jay Fedor said Saturday afternoon that he will represent perennial Arlington Park riding champion Jose Valdivia Jr. at the 2019 Oaklawn meeting that begins Jan. 25. Valdivia, 43, hasn't ridden regularly in Hot Springs since 1997 when he won 18 races, including the $50,000 Hot Springs Stakes aboard Virtuous Regent for trainer Randy Morse. Valdivia rode regularly that year for the late Bob Holthus, Oaklawn's all-time leading trainer. Valdivia's scored his biggest Oaklawn victory to date aboard Buzzards Bay in the $500,000 Oaklawn Handicap (G2) in 2006. 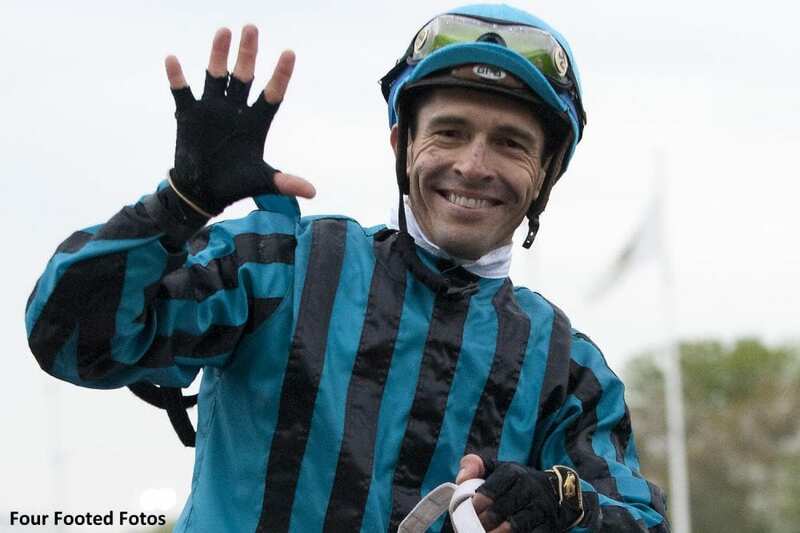 Fedor was scheduled to represent Luis Contreras this year at Oaklawn, but the agent said he isn't sure the jockey will ride in Hot Springs because of “personal issues.” Contreras won 15 races at the 2018 Oaklawn meeting. Valdivia has ridden 1,815 career North American winners since 1994, according to Equibase, racing's official data gathering organization. He won the Breeders' Cup Mile (G1) in 2001 aboard Val Royal and the Belmont Stakes (G1) – the final leg of racing's Triple Crown – in 2011 aboard Ruler On Ice. Valdivia has been riding recently at Golden Gate Fields in northern California for trainer Larry Rivelli, but he had been wintering at Fair Grounds. Rivelli is Arlington's perennial leading trainer. Fedor also represents Stewart Elliott, best known as the rider of champion Smarty Jones. This entry was posted in People and tagged jay fedor, Jockeys, Jose Valdivia Jr., oaklawn park by Press Release. Bookmark the permalink.